The Christella collection versatility and style will blend masterfully in your living room area. 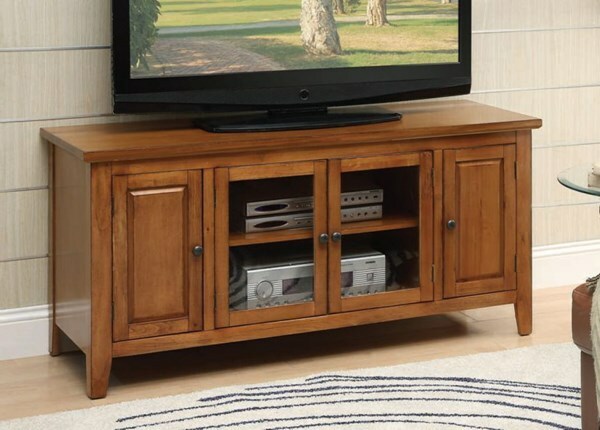 Carefully constructed from selected wood and veneers in warm Oak Finish. The storage feature offers plenty of space to keep your entertainment components: four doors with one shelf inside. Available in four different finish to choose from Cherry, Oak, Black and Chocolate.